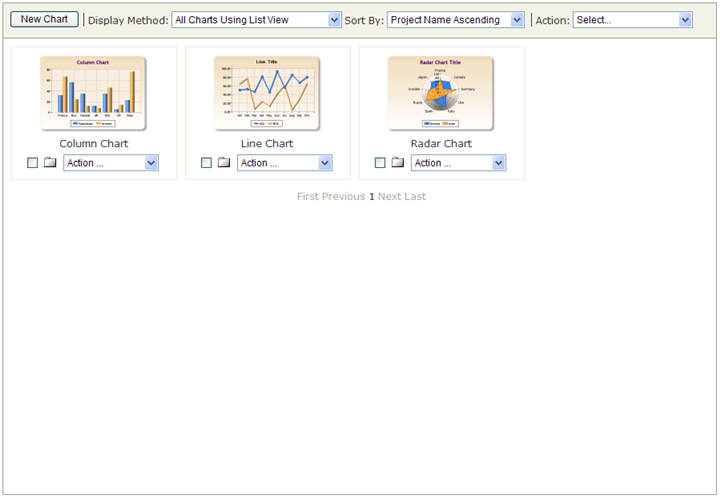 In Manage Charts, you can browse and manage all your charts by different methods, and more you can display only favorite charts. You can set favorite for charts, and also you can delete selected charts. 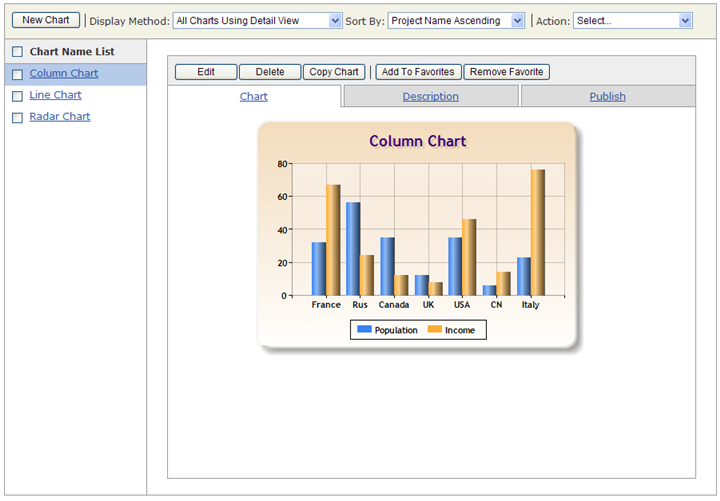 To create a new chart, please click New Chart button in tool bar.